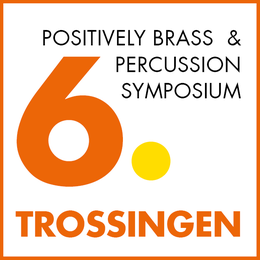 Come work with some of the world’s best brass performers and teachers during the 5th Annual Positively Brass and Percussion Seminar from 3rd to 6th October 2019 at the University of Music in Trossingen, Germany! Develop and hone your abilities and get advice, encouragement and inspiration that will change your life with our world class faculty. The Positively Brass and Percussion Seminar is open to college age as well as advanced high school and gifted younger students. You will also learn a lot from the other serious brass students like yourself. Listen to special concerts and take part at the competition POSITIVELY BRASS SOLO WETTBEWERB for the Trumpet, French Horn, Trombone and Tuba.